PRESENTS! We all love presents. And at Christmas time, it is no different. 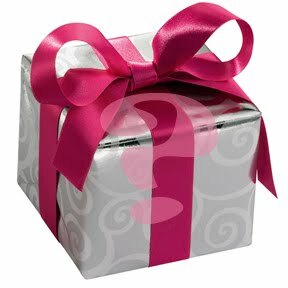 What has been your favorite Christmas present of years past? 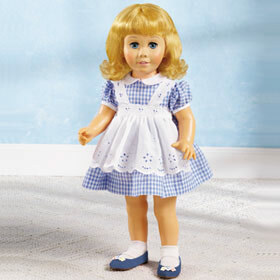 Mine was a Chatty Cathy doll when I was six. An unusual favorite for, at the time, an unusually quiet child. Mine wore a red dress and had short blond hair. I can remember the apartment we lived in at the time. It was the Christmas after my brother was born. I couldn't find a picture of the exact doll, but I did notice some images that come up with google are kind of frightening. Kind of like "Chuckie"
As stitchers and sew-ers, we often make gifts for family and friends for the holidays. The first Christmas gift I remember making was a ladybug pillow for my sister. 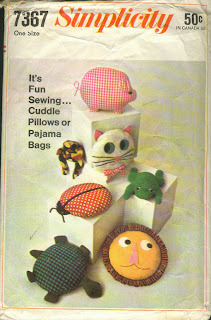 The pattern was published in 1967 but I think it was probably 1968 or 69 when I made it. It seems like I was in the 7th or 8th grade. It looked exactly like the picture. At least in my memory it does. 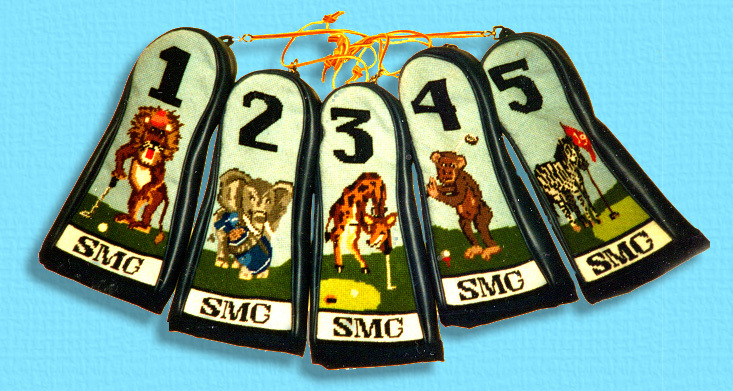 The longest running gift I ever made were some needlepoint golf club covers for my husband one year. It took me three Christmases to finish. First year was the lot of them with one completed. Second year, three completed. Finally the third year, all of them complete. 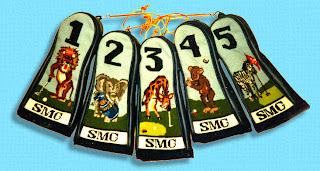 The ones above are similar except mine had vintage golfers on them. I asked him a few years ago whatever happened to them. He didn't know! I suspect he threw them away. I ought to clobber him. They cost a king's ransom over thirty years ago and took forever. FOREVER. 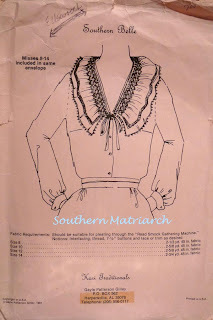 One of the most difficult gifts I ever made was a smocked blouse for my mother. I stayed up until 3 am, Christmas eve, to finish it. It was something she requested. It was made from peach batiste. I have no idea if she ever wore it. I didn't think I would ever get that collar smocked. This picture doesn't do it justice. The collar laid very flat, not ruffly around the neck at all. It was much more tailored looking. I have a couple of gifts I am making this year, nothing as elaborate as the gold club covers or the smocked blouse. I can't say what just yet, Santa hasn't wrapped them. 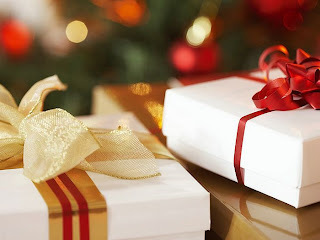 What are you working for Christmas? My favorite gift as a small child was my Barbie. She was the original, black and white striped chevron swimsuit, heavy eyeliner, bouncy blonde ponytail. I couldn't make enough clothes for that doll! Later as a teen, my favorite gift was a complete set of oils for painting, pallettes, canvas, knives and brushes, and a gorgeous mahogany box to put it all in. My dad gave me that one. His best friend, an accomplished portrait artist on the Cape, made sure he got all the "right stuff". I loved oil painting but haven't done it in quite some time. I am done with working on my gifts which were bags and AG dolly clothes. Have a wonderful Christmas, Martha.